My Erasmus with the Yorkstorks Midwifery team is going very quickly, and I’m really enjoying spending my time with them, and participating in new activities. 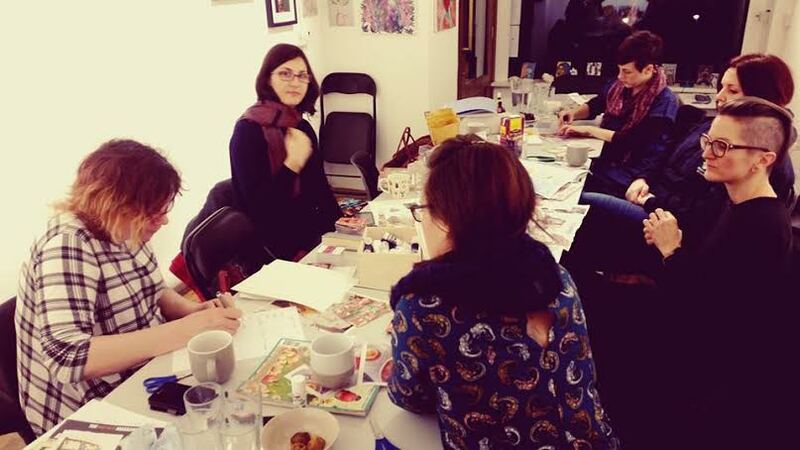 Today I’m going to talk about Nativity Hub, a creative space in Leeds that brings together artists, birthworkers and local women and families to re- imagine maternity. NativityHub provides a maternity information and support service, and it encourages an interdisciplinary and holistic approach to maternity where art and midwifery work together. 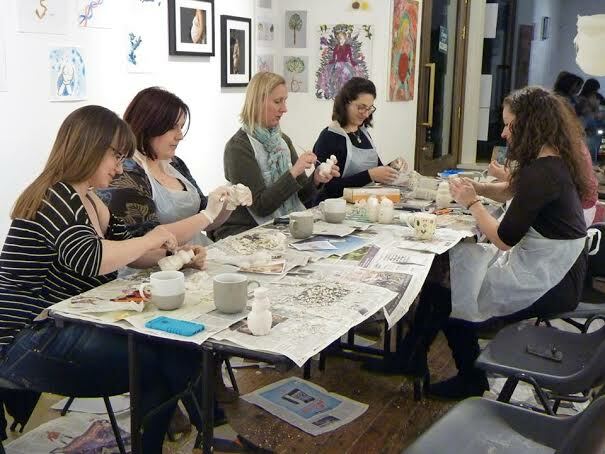 A variety of activities in smaller, intimate group sizes encourages social networking and peer-to peer support. Activities include weekly maternity drop in, where the women can share their birth stories, there are talks and mini-exibitions from artists interested in birth, practical support session for birth workers such as doulas, prenatal yoga teacher, hypnobirthers and parents who support others. The aim of NaitvityHub is to encourage to rewrite and reimagine the birthing from women’s perspectives. This project is facilitated by Claire, who is one of the midwives of the team I work with,in fact she has a background as an artist and a birth photographer before becoming a midwife. In that way she put together the midwifery and her passion for the arts. She invites me to take part in these activities frequently, and it is very interesting to get some ideas for my future business. It is a nice idea to have space for mothers, but also in general for women to talk about birth in an original way! Why not create the same place in Italy too?! It would be amazing to find other workers with the same aims as me, and to work for and with the women supporting them, promoting a positive and creative experience of birth. Art is a good way to express your own feelings, the fears and all the emotions connected with the maternity, but in that place there is also space for the fathers. I think that project is a good opportunity for Claire to work as midwife and an artist at the same time, giving to the other birth workers and artists the opportunity to express themselves. Leeds birth workers gathering, this is a peer to peer support group aiming to work collaboratively with sharing resources, offering each other the support with a particular focus on the physiological birth, a place to help build relationships and good practice. Other activities which involved the mother: belly casting, placenta printing, first aid for babies workshop, drawing from birth workshop. I understood the importance of different ways to be a midwife, and of supporting women beyond the level ofclinical care, and most of all, the importance of working cooperatively with other workers, and the important benefits of putting together art and midwifery to offer original services to women.